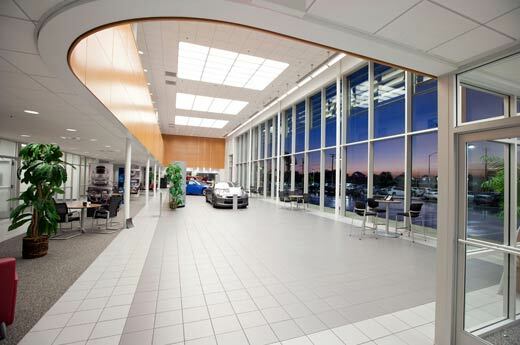 A repeat client, Maita Automotive group turned to Alston Construction yet again to build their latest Nissan facility. 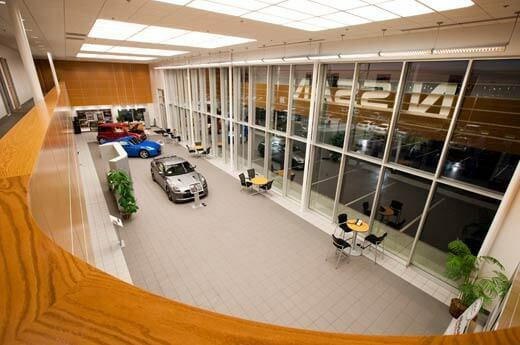 The two-story 46,405-square-foot showroom, service and lube area is the crowning jewel of the Maita Automotive family of dealerships. Alston also helped the owner with unhappy neighbors. Maita had an agreement in place with a neighboring business for a shared parking lot which would have been unusable during construction. Alston Construction took a phased approach to construction, allowing the neighbor to keep an area for customer parking – with no schedule extension or change in the budget.